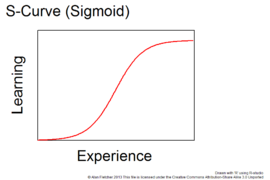 Development is a crucial stage for the success of just about anything, and is often mathematically described using a sigmoid curve. The development of a technology is the most common example of something that follows this pattern. A new technology will stumble out of the gate slowly, but eventually reaches a turning point, which accelerates its development, and eventually the pace of development reaches a plateau. Think back to your high school days: were you popular from the beginning? Were you at roughly the same level the whole time? Or were you a late bloomer who caught up in the later stages of your high school career? 2) You got motivated to change and develop further, and you kept pace with the rest of the group, perhaps regaining your lead. 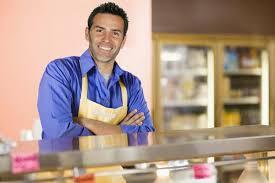 Before he got signed to the NFL, all Kurt Warner was qualified to do was bag groceries. He was in a state of plateau, and many people who peak in high school experience this state afterwards. I’m sure you can complete the rest of the scenarios based on this train of logic, but the point here is that this is why we often here of people “peaking” in closed environments such as high school or university. Many people who were popular in high school remain this way into their university career, but once they plateau their development long enough for others to catch up, they will be in unfamiliar, unpopular territory. This same scenario is often what motivates the less popular into continuously developing and improving themselves in the hopes that one day their hard work will pay off and their growth level will surpass the benchmark of their more popular peers. One other phenomenon that can also be explained by this sigmoid curve of development is how good friends can drift apart after first year in university – specifically if you spent it in residence. I had a great time in first year, and I had a very social floor with lots of friendly people. I thought that we would remain friends for all of our 4 years at university. Unfortunately, I was unaware of the sigmoid pattern of development at that time and how influential your behaviour and ambition can be on the slope of the curve. At the beginning of second year, I went to a few parties hosted by people who were on my floor, but we quickly grew apart due to our different interests. What I failed to realize was that, generally speaking, success in university is a lot more than getting good grades. Getting involved around campus, studying together, going to big parties – doing it all, basically – are the keys to a fruitful career as a university student. Instead of my development accelerating, I was actually stumbling out of the gate because of my arrogance and stubbornness brought on by the small, isolated group of friends that I had. We thought that we were better than everyone else because we weren’t wasting our time partying with the “dumb” people from our floor. We were sorely mistaken, but eventually, I learned my lesson. I started volunteering, started going out with new friends more, and started making a lot more friends as a result of both these changes to my life. My grades actually went up, my sense of belonging at school improved, and I felt happy about my future. My development hit that turning point and started accelerating upwards. I was catching up. If you find that you’ve grown apart from friends that you had in first year, it’s probably because you were simply at different places in your lives, and this can likely be explained by the fact that your development curves simply didn’t match up properly. Your goals, ambitions, and interests did not overlap or were not parallel; they were divergent. Do not be afraid to move on and seek out others more similar to you, though, as it is highly unlikely that you’ll retain all of your friends from first year simply because everyone develops at a different pace. Perhaps 5 years down the road you’ll reconvene, so there’s no need to burn any bridges. The end of your university career can be a very scary thing for some people, and I think it’s because your development curve has plateaued near the end of your university career, and many people are unsure of where to go from there. High school and university were essentially guided tours of life, and all you had to do was listen to get the most out of it. Once you are a graduate, the tour is over, and you’re left to explore the city all on your own. The big challenge and paradox of further change and development that we face is branching off from our current sigmoid curve and stumbling out of a new gate. What we need to keep in mind is that we should learn the recognize when we are plateauing in our development. Many people reach a stage in their mid to late twenties where they simply grow tired of their job, no longer feel young again, and are generally quite apathetic. Why else are there so many articles pertaining to fostering excitement and acceptance for the lifestyle of the twenty-something? What these articles should be teaching is that if you find yourself complacent and jaded, perhaps it is time that you branch off your current curve and stumble into a new one. A new job, a new city, a new skill, a new partner in a relationship, the list goes on and on. Bear in mind that no one person has a development curve that they can sustain for their entire life – we are simply not built that way. Look at the most financially successful person in the world: Bill Gates. After an incredible amount of financial success early in his career, Mr. Gates likely grew bored of being so wealthy all the time, so he branched out to a new curve: philanthropy. It’s the reason why many billionaires are also such passionate people. Their passion brought them their vast amount of personal wealth, but it also enables them the ability to branch off their curve and start a new one with great faith and enthusiasm for its challenges and successes. I believe that passion is lacking with a lot of young people today, as we have become so depressed and complacent with how our lives are going to be. We’re going to school, we’re getting taught things, but a lot of people are not getting educated. The passion to learn and develop is something that will pay dividends for your entire life, so learn to recognize and harness your passion and energy when you are stumbling or plateauing. This way, your life will be a lot more exciting and fulfilling, as you will be in a near constant state of accelerated development. Never stop trying to find new curves to stumble into; remember, passion is key above all else. Next Post Stop Being Boring and Basic: Be Passionate!